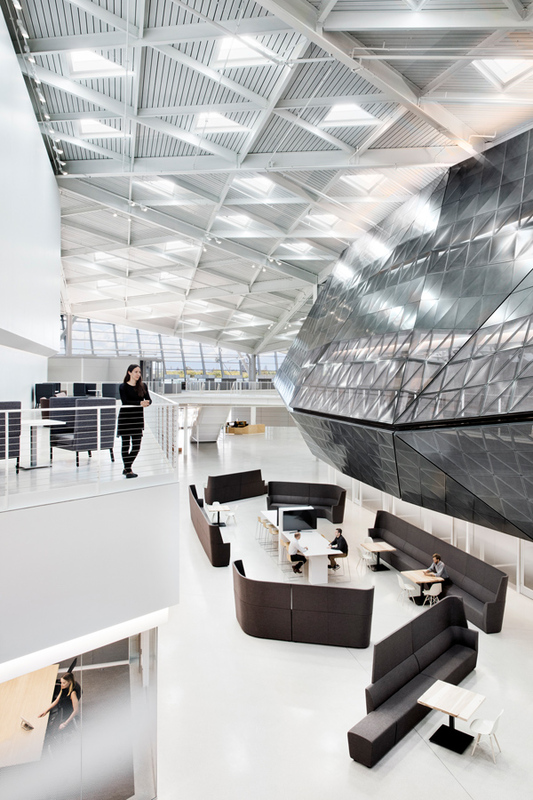 It’s no secret that innovation drives the technology industry. 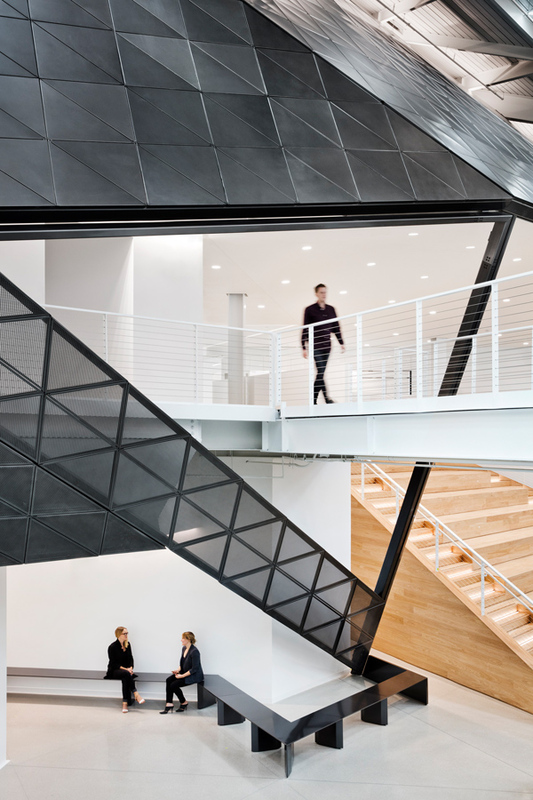 What is perhaps overlooked is how much the serendipitous collision of unlikely ideas, forged through collaboration, also plays an important role. 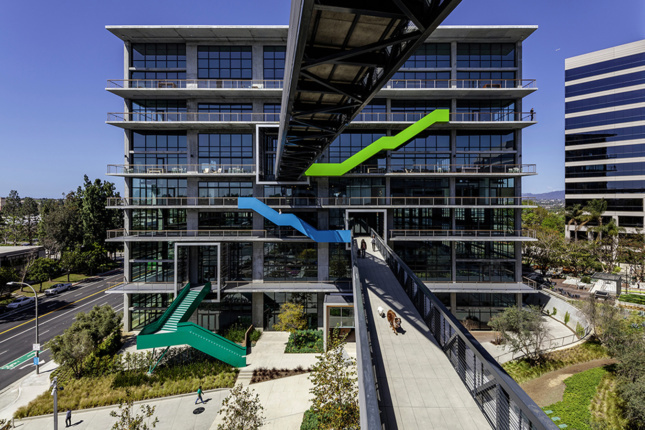 The difficulty comes when companies grow and their employees are divided into siloed working quarters. 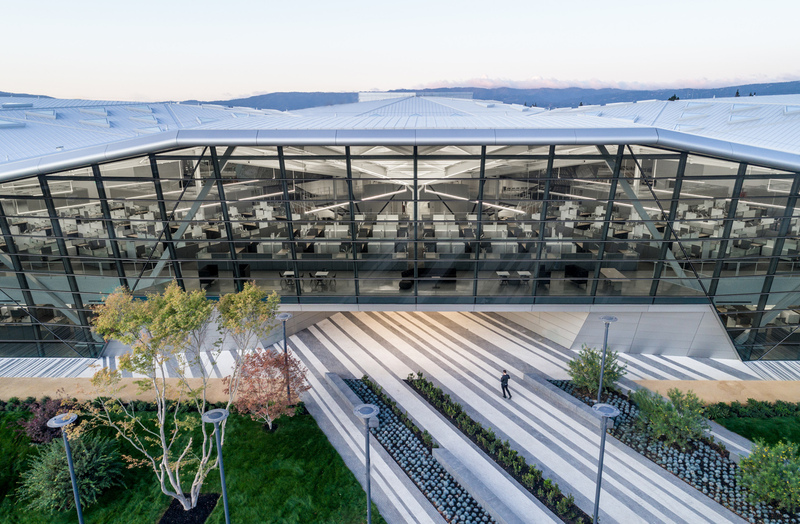 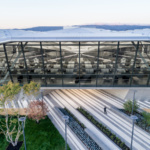 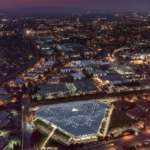 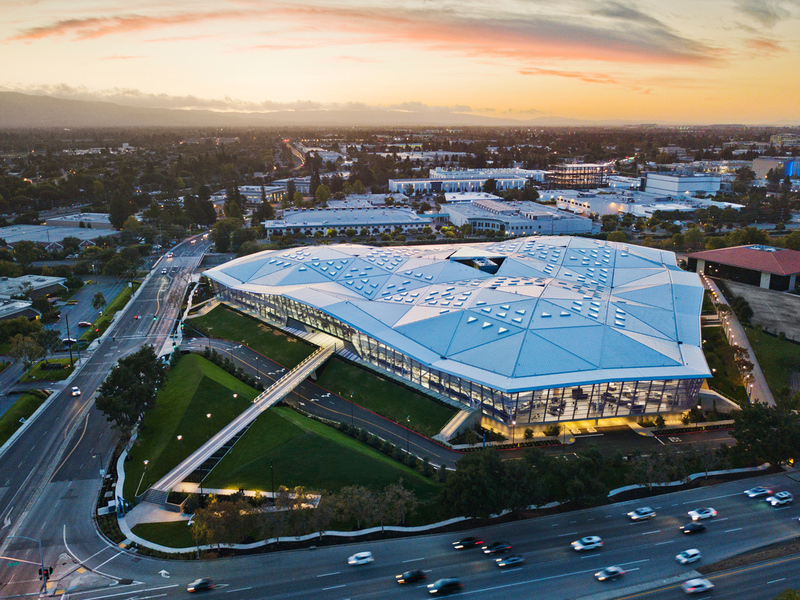 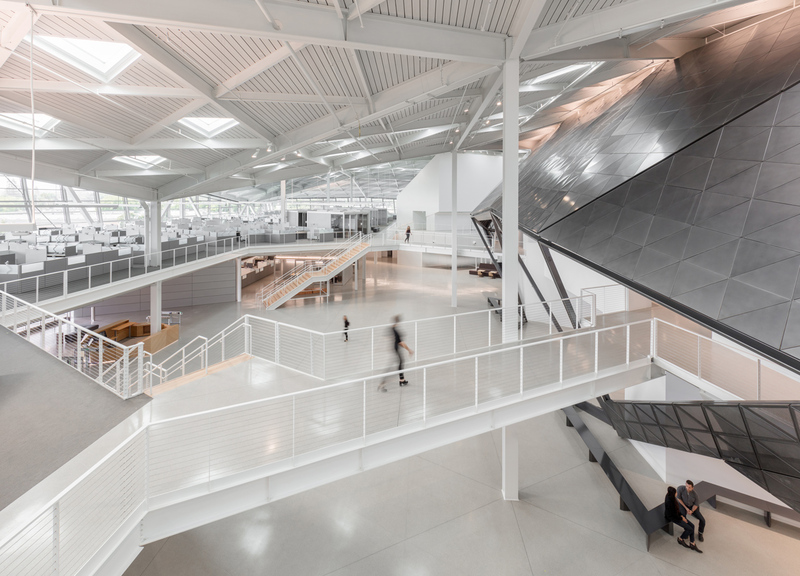 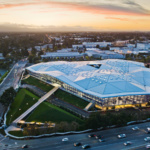 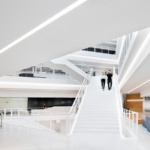 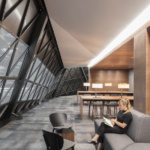 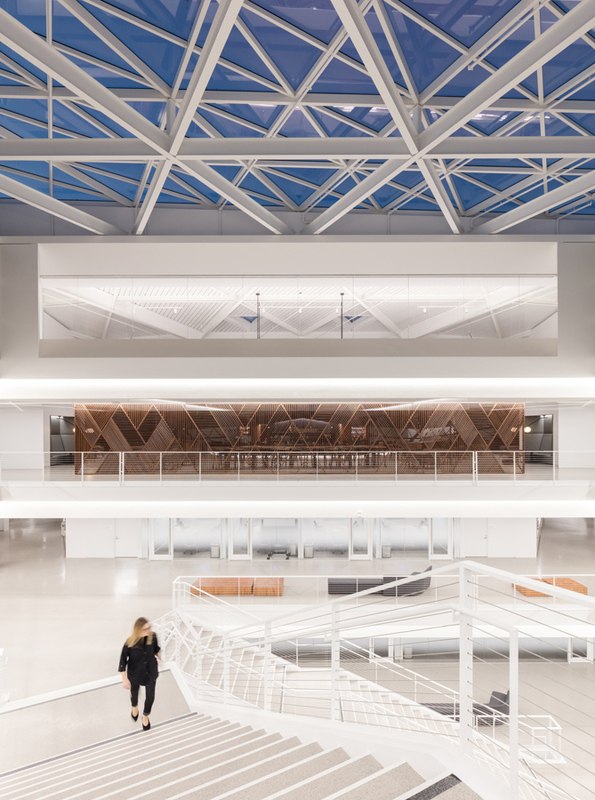 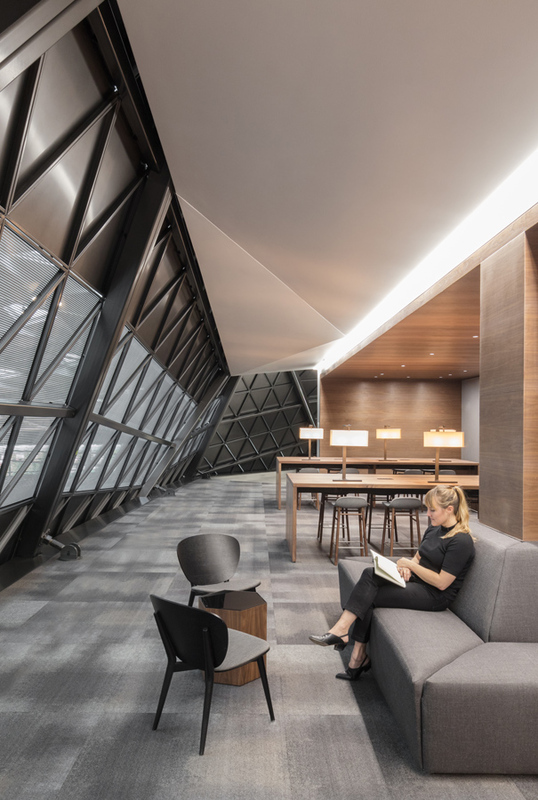 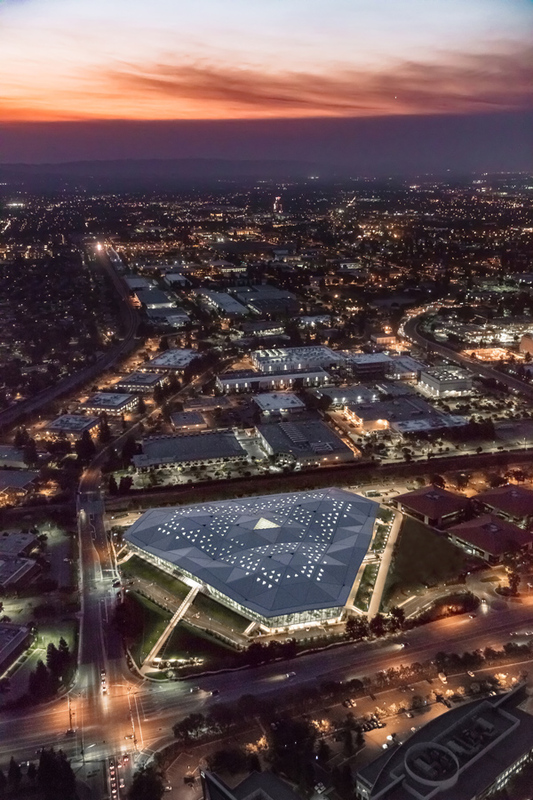 In the brief for a new, 250,000-square-foot headquarters, the CEO of software giant NVIDIA asked: “How can we get 2,500 people to collaborate?” Gensler responded by designing a self-contained, mono-functional building that was inspired by how people move around. 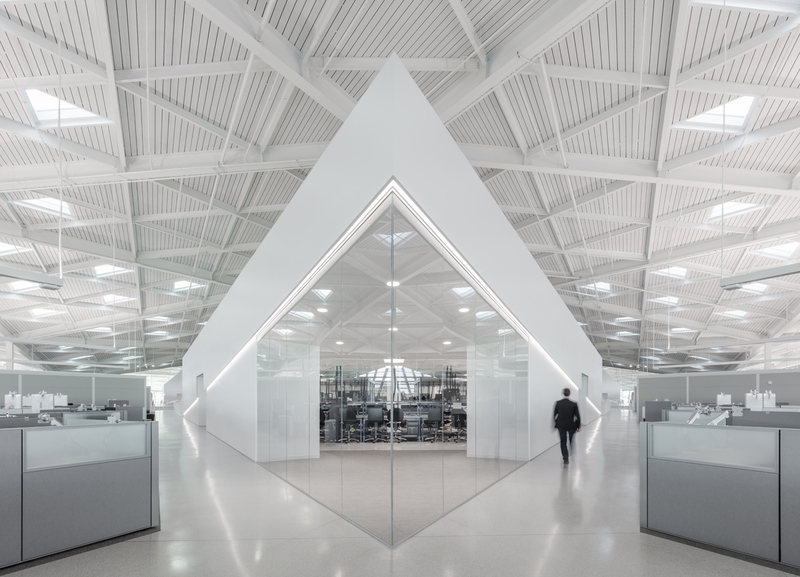 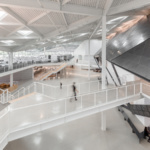 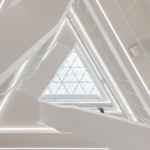 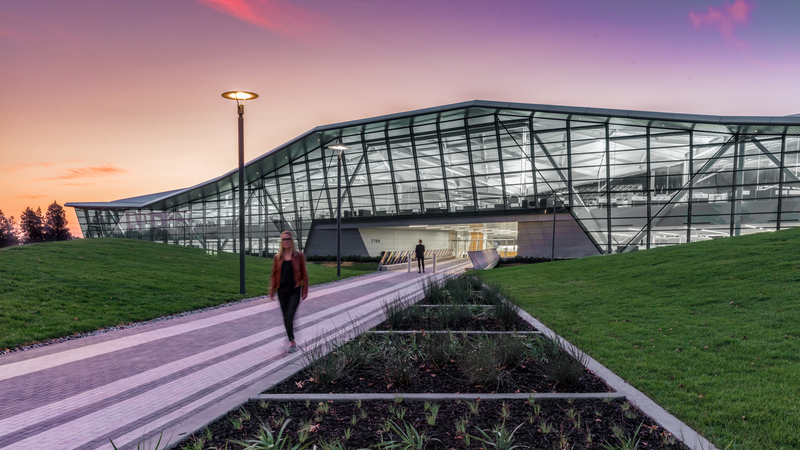 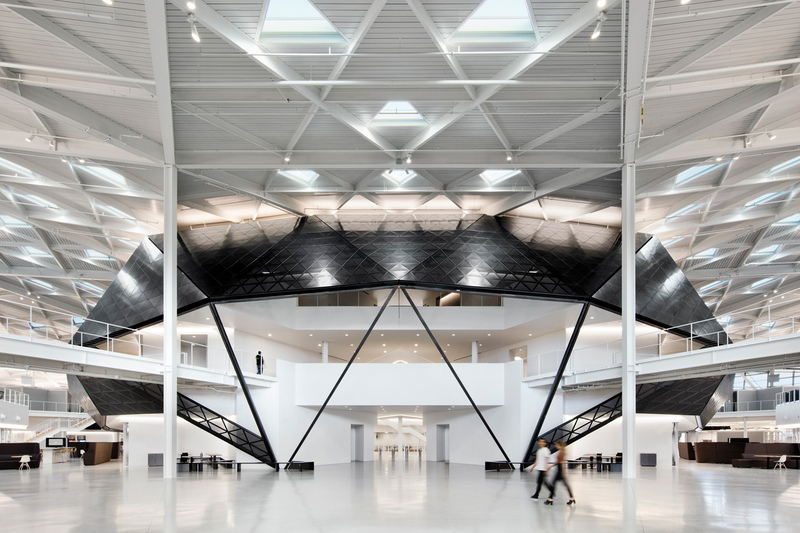 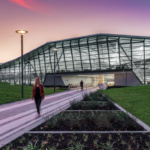 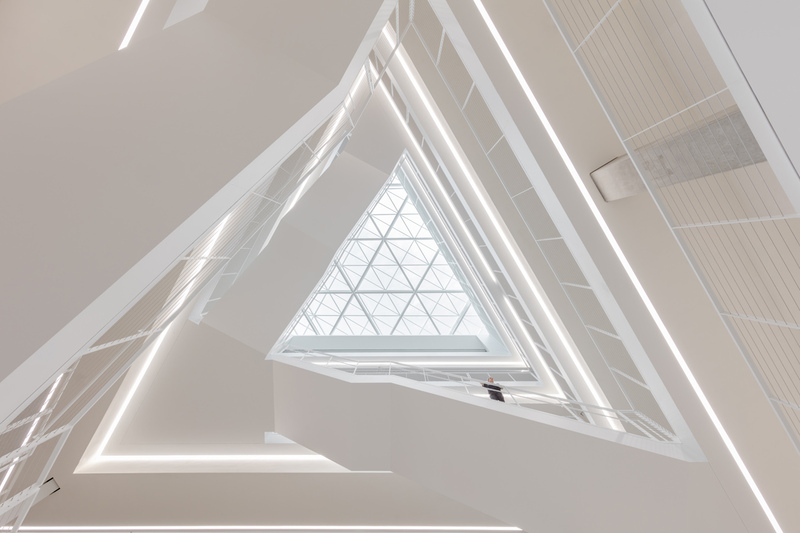 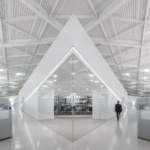 The building’s angular roof creates large, vaulted public areas, but also private spaces for concentration. 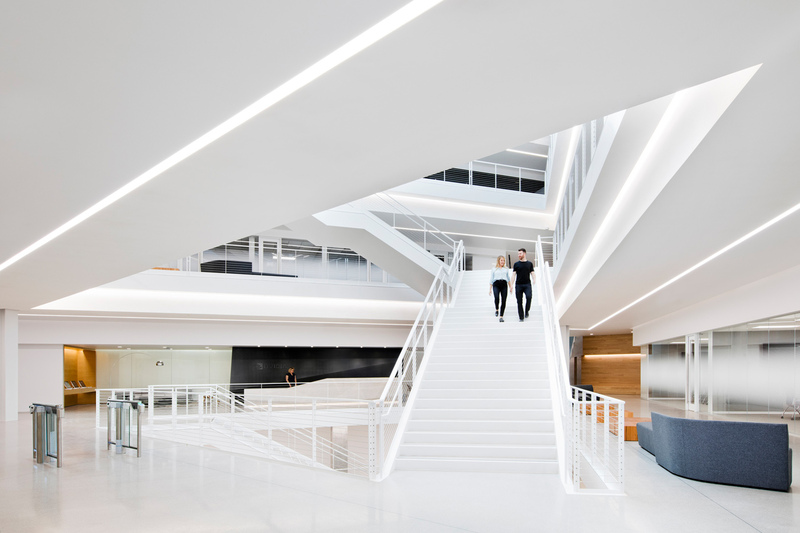 Over-size platforms replace the need for staircases, acting as vertical connectors that can facilitate impromptu interactions.